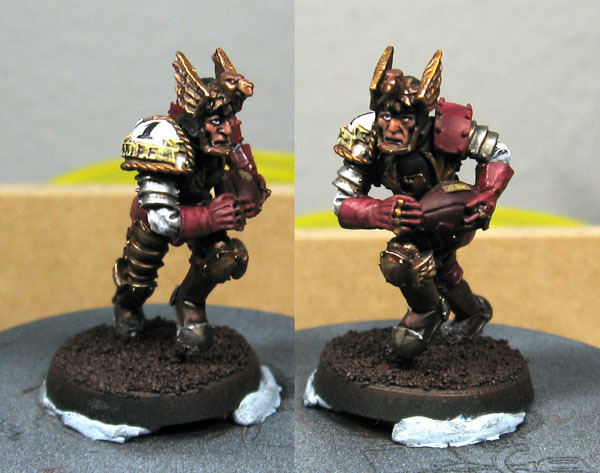 Blood Bowl was my first love in tabletop miniature games. I was 11 and got it for christmas and i just loved that game, i played it a lot ... a lot! And until today, nothing was able to challenge my fascination for that game. 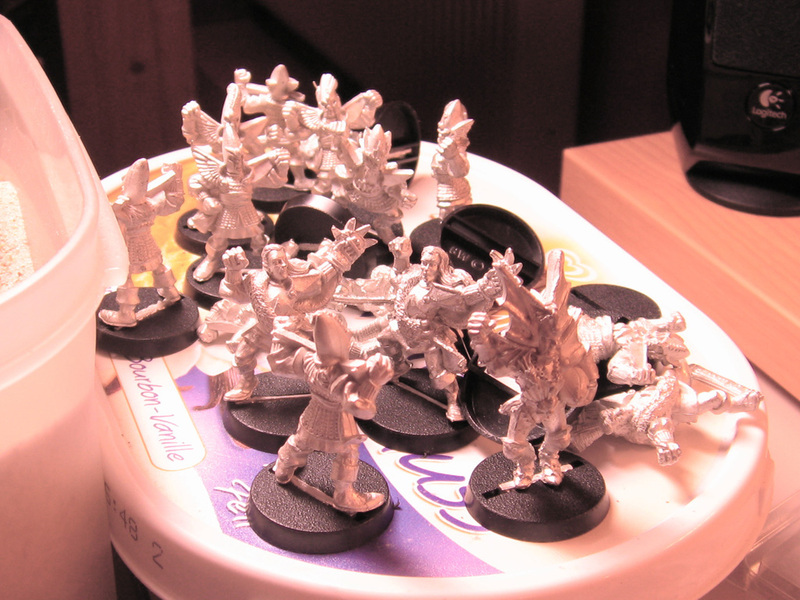 Dreadball is nice, but it isn't Blood Bowl and will never be. 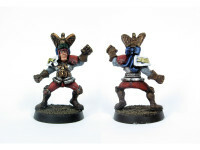 I own two human teams, Athletic Altdorf and the Carroburg Cardinals. 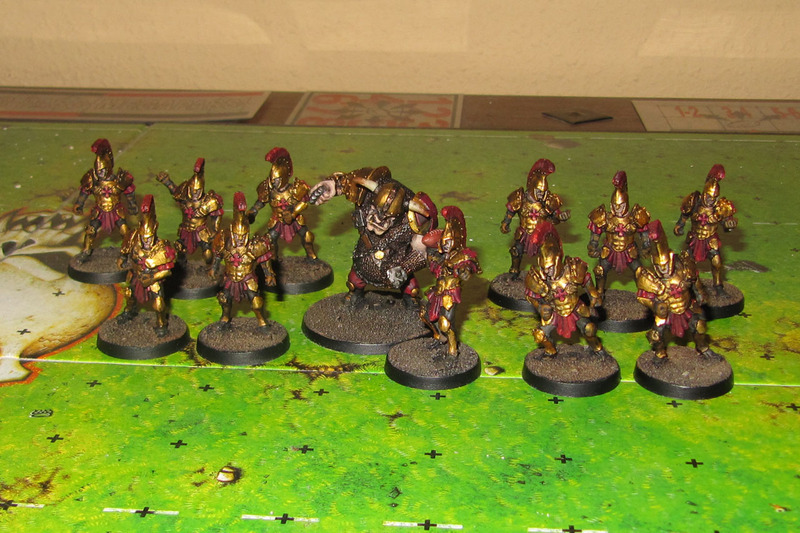 Athletic Altdorf is a team by Black Scorpion miniatures, the old ones, casted in lead. The other one Carroburg Cardinals is the newer lead team by Games Workshop. 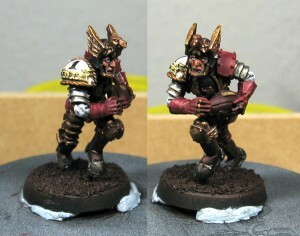 And in addition i have a few Star Players, among them the first miniature after a 7 (!) 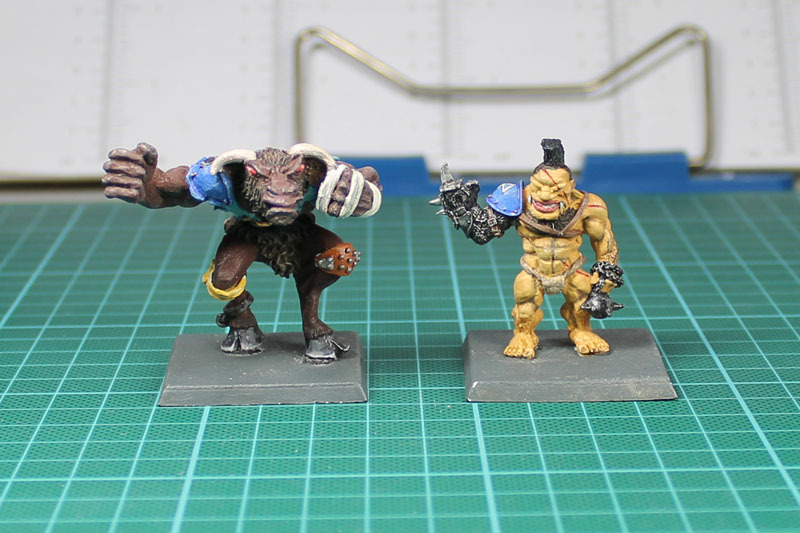 year break from Painting and one of my first miniatures ever, Siggi the Mighty Zug. And Griff Oberwald in Mk 1 and Mk 2.